For me this game was one of the most original and engaging new games in many a year. Honestly it's close to my favorite game of the year, and is certainly my favorite game story of the year. 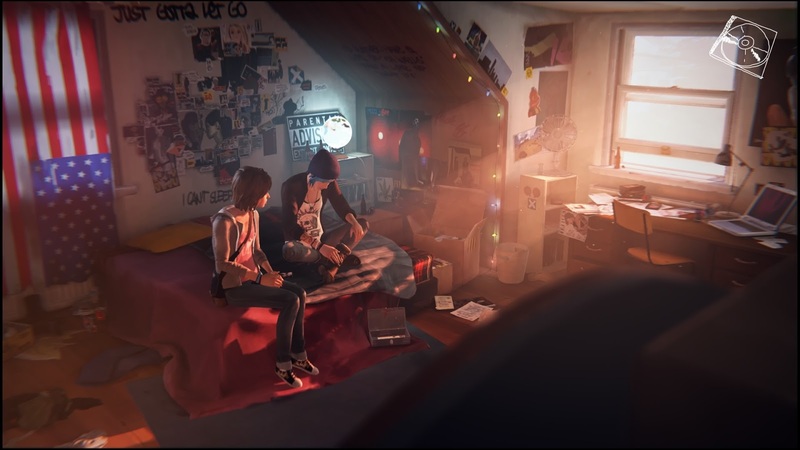 Life is Strange is an episodic adventure game in the vein of the Telltale games, by developers Dontnod, and publish by Square Enix. While using the now well established backbone of the modern adventure template, it adds it's own spin on things with a time travel mechanic that not only allows you to go back and try different solutions, but is actually integral to some of the puzzles. It's also far from your standard video-game fare when it comes to story and characters. The game's hero is Maxine Caulfield, a photography student who discovers that she has the ability to rewind time at any moment. After having strange visions and foreseeing some kind of approaching apocalyptic storm, Max must take on the responsibility to prevent it from destroying her town, but she also has to deal with all the interlocking drama and mystery that has suddenly engulfed her life. From re-uniting with a lost childhood friend, dealing with the school bullies, to trying to figure out how a missing girl links into everything weird that's happening in her small Pacific northwestern town. The game doesn't patronize it's teenage cast, and by and large it manages to avoid too many stale cliches or CW style tropes. Some occasionally stilted dialog aside the writing is excellent, and I think some of the initial reactions to the characters language is more to do with how many years it's been since I was a teenager! It explores the obvious 'what if' moments that come with choices in life, and in adventure games, allowing you to to enact and observe the butterfly effect of her choices. It might be life altering, or life saving moments, or the more human, intimate moments, of your interactions with others. It's also a game that uses the episodic format perfectly. It engineers both reveals and cliff-hangers that engineer anticipation for what is to come. To be honest, even now that all the episodes are out, I would still recommend taking a break between episodes. It's almost part of the experience. With a pitch perfect soundtrack, that compliments each episode well, the entire experience just clicked for me. It was great to see such fresh characters be well received, although that is maybe more of an indictment of the current breadth of game settings than it is anything else. This one was the most original and engaging game I played all year.